As a Knight of White, the demon warrior Rinehart has long struggled to keep the beast within him at bay. But his unyielding attraction to Dr. Laura Johnson–the dangerous woman he has sworn to protect–threatens to rip his soul apart. When Rinehart discovers that she has paranormal abilities of her own, he must choose: will he give in to his animal attraction to her or fulfill his duty to protect humanity from the rising army of evil? Will Laura prove to be his saving grace–or his final undoing? 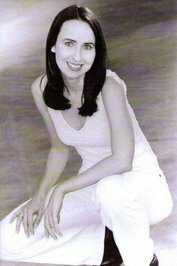 In 2003, award winning author Lisa Renee Jones sold her Austin, Texas based multi-state staffing agency and has since published over thirty novels and novellas across several genres. Her staffing agency LRJ Staffing was recognized many times by The Austin Business Journal and also praised by Dallas Women Magazine. In 1998 LRJ was listed as the #7 growing women owned business in Entrepreneur Magazine. Her debuts with Blaze and Nocturne hit Bookscan’s Top 100 list and her Blaze Hotzone trilogy made a showing on the list in 2011 also. With a new Blaze trilogy, a short story for Spice, the third book in her Zodius series published with Sourcebooks, as well as an rapidly growing indie following, 2012 will bring many new stories to her readers. 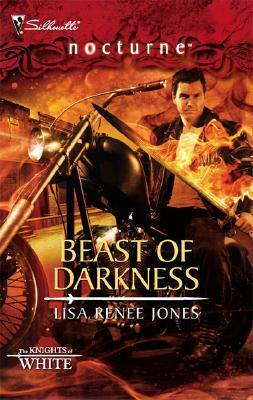 Lisa Renee Jones is giving away a large rose scented Yankee Candle that smells so good and a copy of any of her ebooks or a print copy of her new Blaze FOLLOW MY LEAD — readers choice to one person. Leave your email in the comments section at the end of this post for your chance to win. I haven’t read the Knights of White Series. I will be checking them out now since I love demons. Sound like really great reads. I’ll have to check them out. I have some catching up to do. So many great books! Geez, another series I haven’t seen yet. Wow, my TBR list is growing very fast! Ooohhh, I really like the two book covers. I haven’t read any of Lisa’s books yet, but I do have a few. How many books will there be in the Knights of White series? I have not read this series yet. But based on the others I have I am really looking forward to it.